Ever feel like you're on a spinning wheel when you attempt yet another New Year’s Resolution? The spinning could be repetitive negative thinking or a multitude of jumbled feelings. The spinning may be the inconclusive thoughts as you analyze underachieved goals and the pattern that keeps getting you stuck. For others, the wheel may include a sense of feeling paralyzed--at a stand still, numb or detached. Maybe It is as though there is a clog in your brain. You feel unclear and can’t get motivated. Behaviors are measurable; others can see us doing them. However, these measurables are determined by what is immeasurable. Our actions flow forth from our inner psyche---a conglomeration of thoughts and feelings which translate into clarity or confusion; motivation or stagnation. So how do we get moving, motivated, break loose the clog, and stop the madness? Recognize the Pattern. Seeing our specifics within this spinning cycle can help us get outside of our head where we tend to maximize or minimize. We want to see the pattern as common, yet we don’t want to normalize and park there. Acknowledging a pattern is putting it on the table, as opposed to just stuffing the annoying cycle into the abyss of our emotional closets hoping it will go away. Receive grace. We will never be perfect. In fact, we may be off and on the ride of swirling thoughts and feelings throughout our lives. Being able to receive grace instead of an incessant whipping will get us a lot further. Instead of responding to a set back with the all-or-nothing mentality, throwing in the towel when your record is less than flawless, or procrastinating till you know you will succeed, embracing grace is imperative. Grace isn’t letting yourself off the hook or indulging yourself. It is acknowledging your shortcomings, and then gently choosing over and over (if need be) to keep getting on the horse. It is staying committed to a vision inspite of your imperfect attempts. Physically get moving. Movement, whether walking, kickboxing or biking is a proven way to mess with our physiology in a good way. Healing chemicals are released into our system and toxic chemicals are released out of our system. All of this provides great benefits to our mind and spirit. The physical activity at this point is not about checking off an exercise goal, it is about resetting our mental and emotional state. Journal. This may be vomiting on paper. Just like after a good puke we feel better, identifying our thoughts may help release them and move to a more positive mindset. Its like dumping the junk on the table as opposed to shoving more stuff into that junk drawer. It helps you look stuff in the eyeball so you can sort through it and let it go. Journaling may also be used to examine obstacles that are in the way of goals and brainstorm a plan that anticipates those obstacles. Feed our brain helpful thoughts. Having “go to” articles or passages saved on links online or as a picture on my phone (snap a photo of a passage in a book I am reading) are great way to access brain food. Feeding my brain accurate information helps me stay clear on the “how” and the “why” of my goals. Another way I feed my brain and in turn uplift my spirit is memorizing “go to” scriptures that I believe speak truth and always encourage me or help me let go. Take a nap. Because I am a doer, a nap is a good thing for me. It stops my doing, planning, fixing. It makes me stop and is a concrete way I offer myself grace. Now if you are one who procrastinates or sleeps excessively in times of trouble, then napping may be the last thing you need to be doing in order to get off that crazy wheel. Receive love from others. Calling or texting a friend can be a good pick me up. Having people who will shed light into your life, can be a good way to be encouraged, gain insight or just find humor or levity in things. Music. Uplifting music is always a great pick me up and good at clearing the head. 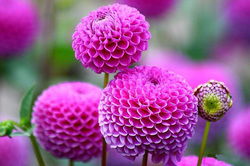 As you reach for your goals, whatever they may be, don’t let setbacks and underlying thoughts and feelings trip you up. Expect obstacles, disappointments and prepare for them in the best way so they don’t have power over you. This is not being negative---it is accepting human nature and the world we live in and preparing yourself for hope to always trump. When we do this, those setbacks will happen less and decrease in intensity. Recognizing the Pattern, Embracing Grace and Utilizing your Escape Plan will be the keys for movement and decreased moments of that swirling stagnation. Have these four horsemen trampled your relationship? The Gottman Institute, nestled in Seattle, Washington, has compiled more than four decades of research to discover the science of why some relationships succeed and others fail. Hooking couples up to devices to collect biofeedback, as well as filming to closely study body language and nonverbal cues, Dr. John Gottman understands the art and science of love. His research revealed a small troop of red flag interactions which Gottman humorously labeled, “The Four Horsemen of the Apocalypse.” The four riders? Criticism, Contempt, Defensiveness and Stonewalling. Though all relationships exhibit these from time to time, if seen frequently and intensely, the interactions reveal the relationship’s dying future. 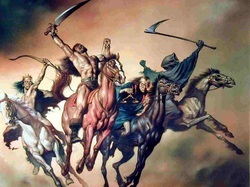 If a couple is being treated by a Gottman Certified therapist, the clinician will assess for the presence of The Four Horsemen, among other things. As more of a coach than a referee or a central figure in the actual communication, the therapist will assist the couple in turning toward one another in a way that is safe and effective. The goal is for a couple peel back the layers of an issue together, reaching the heart of the gridlock and connecting in a meaningful, intimate way. The Four Horseman are often the reason this is not happening. So how do you stop The Four Horsemen? Becoming aware of them and their remedies is the place to start. Where there is Criticism, use gentle startup. If a conversation starts harshly, it is not going to end well. Break the habit of blurting out criticism. It’s okay to have a complaint in a relationship or express an unmet need or hurt feeling, but to criticize the other is ineffective and shuts down communication. When we can talk about our needs and feelings, as opposed to focusing on how someone else is defective, the spirit of our communication will change. Recognizing that something you hate in your spouse might be treasured or accepted by another, leads you to ask, “Why is this a problem for me?” Sharing your feelings, needs, dreams, and desires in a way that doesn’t diminish the other person increases mutual respect and unity even when you have differences. A third horseman, Defensiveness, obviously shuts down communication and its cure is taking responsibility. Defensiveness implies blocking, stopping and guarding. It makes sense you’ll feel defensive if someone is criticizing you. Even if a partner is making a legitimate complaint, has softened his or her startup and is focusing on individual feelings and needs, one may still feel defensive. However, it’s better to say, “I am feeling defensive” than to be defensive. Recognizing this feeling can help you mindfully take a different approach. It does not mean conceding and shutting down your own voice for the sake of the other, but it does mean owning the relationship together. When we see the relationship as its own entity, we are each 100% responsible for taking care of the relationship. So what does it mean to take responsibility for the relationship? It’s processing the other person’s complaint something like this: “Wow, he really is upset! I wonder what he is needing? What is he feeling?” It is crawling into the other person’s skin and really understanding it from his or her perspective. We don’t have to agree with our partner’s experience, but we can recognize it is legitimate, even if we see it differently. When we do this, we remember we’re on the same team and that our relationship is valuable. Listening and validating the other implies the other’s needs are as important as our own. They are not MORE valuable and we don’t have to diminish and swallow our needs to get along. With the view that there are two different perspectives of reality in a relationship, we can take responsibility for the relationship in a way that is not burdensome, resentful or defensive. The last horseman is Stonewalling and the solution is physiological soothing. A person stonewalls in a relationship when s/he is feeling flooded emotionally. Overwhelmed by the conflict, or fearing engagement is going to end badly, one distances his/herself, detaching emotionally in an effort to preserve self or the relationship. The other person may interpret the withdrawal as not caring and turn up the volume, creating a distance-pursuer interaction. Gaining control over The Four Horsemen of The Apocalypse can determine if you are a “master or disaster in marriage.” Instead of Criticism, Contempt, Defensiveness and Stonewalling, aim for softened startup, expressing your own needs and feelings, taking responsibility, and physiological soothing. These tactics may significantly help some couples, but others may need more support in implementing new strategies. Seeking out a Gottman Certified therapist is recommended for those struggling to effectively manage conflict. From time to time, each one of us catches on fire---emotionally, that is. Or as Dr. John Gottman, founding scientist and psychologist at the The Gottman Institute describes, we become “emotionally flooded.” When we are flooded, we go into fight-or-flight mode. Our blood pressure, heart rate and pulse increase. Chemicals like adrenaline and cortisol get pumped into our bodies. The result? It is very difficult, if not impossible, to access our smart brains; we may become reactive or shut down. This is why all our wonderful communication skills can go out the window. In a heated conversation, we may go into attack-defend mode, exhibiting what Gottman calls The Four Horseman of the Apocalypse: criticism, contempt, defensiveness and stonewalling. Not only relationships can get us flooded (or heat us up). Non-people stressors--work, finances, learning new things---can set us up to personally sabotage our prior best efforts. It is often when we get flooded that we make those destructive choices---overeating, drinking too much, isolating, procrastinating, gossiping, overspending or even self- injury. The list goes on and on. So what is one to do about the nasty habit of flooding or catching on fire? I like to think the best advice comes from the fire department. If you literally catch on fire and run around like a crazy person, you will burn up. Standing there and doing nothing is equally dangerous. 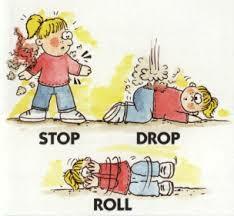 We all learn in elementary school that if you catch on fire you should STOP, DROP AND ROLL! So why couldn’t we do the same for emotional/physiological fires? First we must learn to tune into the fact that we are on fire before it gets too big. Tuning into what you are experiencing physically during stress may be easier for some than identifying the emotion. Some of my clients have noted a sudden pressure in their heads, tight fists, or a sick feeling in their stomachs. I personally feel a choking around my neck. Becoming more aware can help extinguish the fire before a lot of damage is done. Once you have identified the fire (or flooding) here is what you can do. 1. STOP--If it is a conversation and it is all possible, the conversation needs to stop. Now for those who stonewall when they flood this is no problem; it is their stonewalling and shutting down that has contributed to the problem. To preserve themselves and avoid destruction they may completely detach and even physically leave. The problem with this is if it is done in the wrong way and without proper communication, the dyad goes into distance-pursuer or attack-defend mode. The attacker feels like the stonewaller doesn’t care and really both are flooded---one is just fighting, the other is fleeing, and the attacker might chase harder if he interprets the withdrawal as not caring. The difference between stonewalling and stopping would be saying something like, “I am feeling flooded and need a break.” It is making a commitment to come back and try to discuss again after decompressing. That might mean a 10-minute break is needed. It might mean a day break is needed. It might mean a break is needed till someone else such as a marriage counselor can help coach the conversation and teach the couple new skills. A prior conversation that addresses the pattern and destructiveness of persisting in a conversation where one or both partners are flooded is helpful; a plan of what to do about that is needed. In this way one is prepared to give the other the space to self-soothe. The key to your DROP strategy working is practicing it often---even when you are not flooded. Things like breathing, prayer, and meditation are great tools, but if you only save them for when you are flooded, you will be annoyed with them. It would be like me having a jack in my trunk, but it won’t help me when I have a flat tire because I have no confidence or skill with the tool. 3. ROLL--Once you drop, you can embrace a new mindset. Tap into all those smart things you know. Find that perspective and clarify your thinking. Know your commitments, values and what is important. Embrace listening and understanding others as much as you want to be understood. If you have spiritual beliefs, embrace that you are taken care of and have all you need. Embrace taking one day at a time. one slice of today, please! Yes, I need to get milk. As a matter of fact, there are a lot of things I need to get. “Add it to the grocery list!” I shout. And one need triggers another as thoughts race through my head. When in the world am I going to get to the store? When am I going to schedule an oil change? All the while, I’m thinking we need to get out of the door in 10 minutes. I still don’t have makeup on. A chain of unexpected events early in the week sent life into a tail spin and one thing set another behind. On top of daily living, receiving a text from a friend struggling with deep grief reminded me of my own vulnerability. The fact that I had my crazy happy life today was no guarantee it would be there tomorrow. Every day I talk to those whose plates are overflowing with trauma from the past triggered in the present, as well as fear of tomorrow, all the while stealing today's joy. A client said, “They say God doesn’t give you more than you can handle, but they sure haven’t met me!” Life has dealt them a heavy load. What if we could really live in the present? Really live in what is happening right now? Today. What if the past did not haunt and the future did not stir up anxiety and fear? What if we could find joy in each day and even receive present pain? I hand my client a coaster. It is small and light. “Can you hold that for a while?” I ask. I have this round platter and on it are some large dried pods. Cocoa pods, I believe. Brown and hollowed out with a little shaky something on the inside. There are seven on the wood platter. Seven lifeless pods which easily represent burdens from the past---things that went wrong, losses, broken relationships, dark things that still haunt. I lift the wood platter and add that to the top of the coaster. Her hand wobbles. She reaches with her other hand to steady it. “This is the past," I announce. I reach for a container full of dried hydrangeas. I add that to her already heavy laden palm. It sits easily on top of the wood platter but it adds to the weight. “This is tomorrow. All those pretty little uncertainties. The what ifs.” The load is clearly going to take some energy to balance on her palm for very long. I then remind her the future is not happening. I remove the flowers. Nor is the past. The only place the thoughts exist are in her mind. I remove the wood platter of pods. She is left with the coaster. Easily she balances it on her palm and is even able to toss it in the air a bit and catch it flat on the surface of her hand. Right now if a large object dropped through the roof of your house it would be freaky. But I know you could handle it. It is worrying about what just happened or what will happen next that will overload you. But the moment---you can handle it. Even pain you feel in the moment is bearable when it is not amplified by fear and worry. The trick is learning how to live in that moment and convince your body that the only thing happening is right now. 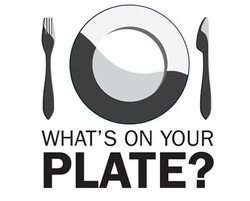 So what will you put on your plate? I will take one slice of today, please. Today has everything I need, and I have everything I need for today. It may include making tangible arrangements for tomorrow, but that’s very different than living somewhere nonexistent--the past and future. I know living in negative non-existent stressful places is worse than useless, so I will take one day at a time and each day discover what my plate will hold. I will enjoy the slice of today, knowing I have all I need. Large and lumbering, the hippo looks up at the eagle soaring overhead. A nearby giraffe, with a long slender neck and snappy patterns and colors, nibbles a leaf from a tree. I really don’t think Hippos think that way. Nor do pigs, mice or warthogs. But we do. Human beings like to evaluate, compare and be discontent. As higher functioning beings, perhaps we simply function on a lower emotional plane. Though some of this is normal human nature, the worst case scenarios of discontented thinking are found in Depression, Dysphoria or even in Body Dysmorphic Disorder. Dysphoria is a medically recognized mental and emotional condition in which a person experiences intense feelings of depression and discontentment-- although in certain cases, those experiencing Dysphoria respond with indifference to the world around them. Dysphoria can be chemically-induced or a response to common life events. A very separate diagnosis, Body Dysmorphic Disorder is where one has an obsessive concern about a perceived physical defect. If you are struggling with deep negative obsessions, possible chemical imbalances, or discontented thinking that feels beyond your control, seeking professional help is a must. 1. Mr. Hippo knows he was perfectly knitted together in his mother’s womb as a Hippo. The end. No questions asked. 2. Mr. Hippo sleeps and eats and enjoys his life. He does his thing. He accepts his portion and his cup and contentment is his. 3. Mr. Hippo isn’t too self-focused; he knows he is a piece in the bigger picture. What does this mean for Mr. Hippo? 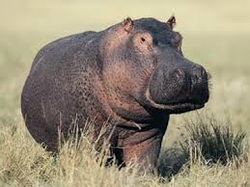 It means he is a hippo. He adds his color, shape and place to this world. And it is good. The world is full of plant life, animal life, landforms, and all sorts of elements making up our lives and our experiences. Just like your body has a brain and a big toe, these small parts make the bigger whole. Each piece has value and a place; otherwise the whole does not exist. So whether you are short, tall, fast or slow, I hope you’ll find peace with how perfectly you have been made. And with this new found contentment, thrive in greater peace, joy and healthier living. How will you fuel your body to finish strong in your race? Nutrition is important during your training and in the days leading up to your race. Nutrition is also important on race day, before, during, and after the race to finish strong and feel good. Endurance athletes need a carbohydrate-based diet to provide adequate glycogen to the muscles for energy during training and during the race. Carbohydrates are found in grains, fruits, and dairy products. Approximately one-half of your calories should come from carbohydrate-rich foods. While carbohydrates are important to provide energy, protein is important to build and repair damaged muscle from the miles and miles of training each week. Protein foods, including meat, chicken, fish, eggs, dried beans, peanut butter, cottage cheese, and other dairy products, provide amino acids to regenerate muscle tissues. Dehydration is the single largest contributor to fatigue when training and racing. Sweating regulates your body temperature. However, the loss of fluids and electrolytes, including sodium, requires replacement to prevent dehydration and a compromised performance. The days before race day, runners should focus on their hydration to ensure that they start the race well hydrated. On race day, runners may choose a sports drink as it offers water, as well as electrolytes and carbohydrates. To avoid the need to use the facilities, runners should reduce or stop drinking approximately 30 minutes before the race. In addition to considering your hydration, depending on the duration of your race, you may choose to fuel your muscles with a supplemental carbohydrate. A variety of options including gels, sports beans, or gummies can be used before or during the race. Once you cross the finish line, start drinking water or a sports drink. Runners should continue to hydrate and drink 24 oz. of fluid for each pound lost during the race. The water will replace lost fluids and a sports drink is important for replacing vital electrolytes. Protein and carbohydrates are also important to replenish glycogen stores and rebuild muscle tissue. Some runners opt for a meal while others do not feel hungry and choose low-fat chocolate milk or protein shake instead. Remember to never try anything new on race day and experiment during training to learn how your body will handle whatever fuel you are using. The goal is to consume a carbohydrate-rich snack or meal before exercise to top off muscle glycogen stores. Include a small amount of protein to help build and repair muscle tissues. Choose pre-exercise meals that are low in fat and fiber to ensure optimal digestion. Easily digested carbohydrate-rich foods during endurance events, for example, banana, sports foods (gels, gummy chews), or bite-sized pieces of low-fat granola or sports bars. The goals of recovery include restoring fluids and electrolytes (sodium and potassium) lost in sweat, replacing muscle fuel (carbohydrate), and providing protein to aid in repair of muscle tissue. Begin nutrition recovery with a snack or meal within 15-60 minutes after your run. Enjoy your training and prepare for your race with these easy to follow nutrition tips! Trying to be perfect is a big endeavor. Even if it is not possible it seems the right thing to pursue. If you are a perfectionist, not pursing this is being complacent or settling for less than best. The only problem with this pursuit is that often it is the chasing of a moving target, and it can leave us exhausted, depressed and without joy. At the root of many psychological diagnoses of anxiety related disorders and depression is perfectionist thinking. Possibly there is a blueprint of perfection in our DNA. Living between a perfect Eden and Heaven, we exist in a flawed imperfect world where there is decay, death, sickness and brokenness in relationships. We long for perfection---we can almost smell it. But things always fall short somehow. My children attend Belair Elementary School. Arriving early to pick my son up from sports practice I hear Coach D encouraging the kids about doing their personal best. I like that. Not being the best, not competing with others, but competing with yourself---being YOUR best. So what about pursuing your personal best in a less pressured gentler way? Start with acknowledging how you are thinking about things. What is your perspective? Why is that perspective working for you and why isn’t it? Do you have a friend who seems more at ease, less stressed, more joyful? How might they look at these things? On the other hand, if you have a son or a daughter or even a friend who is hard on themselves---maybe beating themselves up or just exhausted from his or her pursuits--what would you tell them? Now, take that advice yourself. Talking to yourself in 3rd person can be very helpful. It helps us zoom out, see the bigger picture, and take a different more helpful perspective. Often we have the best advice for ourselves---we just need to find a way to access it and write it down so we can be mindful in our pursuits. 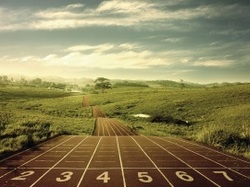 I hope you will be your personal best and be satisfied with good enough all at the same time. I hope you will be at peace, rest and full of joy, satisfied with a job well done. I hope you will find a perspective that helps you give up without throwing in the towel. To let go of of being perfect without calling it quits. Eating disorders are serious illnesses that affect approximately 8 million Americans. One of the more common eating disorders, anorexia nervosa, has the highest death rate of any mental illness. The risks related to these illnesses include life threatening medical and nutritional complications, such as heart disease and bone loss. In addition, psychiatric conditions including anxiety and depression may increase one’s health risk and complicate the treatment approach for recovery. Because eating disorders have mental health, as well as, medical and nutritional aspects, a team approach to treating these illnesses is most effective. Nutrition counseling by a trained Registered Dietitian is an essential component of the treatment team for recovering from eating disorders. The dietitian’s goal of nutrition therapy is to normalize the individual’s eating patterns and support them in reaching a healthy weight. While some individuals will require weight restoration, not everyone with an eating disorder is malnourished or underweight. Family-based therapy is also warranted in many cases as supportive relationships with friends and family are very important to the recovery process. Nutrition counseling includes education about respecting the body’s need for nutrients, mindful eating and enjoyment of food. Individuals will also learn how to distinguish between emotional and physical hunger, and how to portion foods and plan meals. Establishing a trusting relationship with the health care provider and dietitian is critical for making progress in recovering from an eating disorder. While teens and young adult women are the most common demographic profile of individuals with eating disorders, anyone can suffer from these unhealthy eating patterns. Eating disorders can appear at any age, and in recent years, more men have been diagnosed with an eating disorder. Types of eating disorders include anorexia nervosa, bulimia nervosa, and binge-eating disorder. Individuals with anorexia nervosa exhibit an exaggerated drive for thinness, fear of gaining weight, and refusal to maintain a healthy body weight. Overwhelming urges to overeat and inappropriate compensatory behaviors such as vomiting, using laxatives or excessive exercise are characteristics of bulimia nervosa. Similar to anorexia nervosa, individuals with bulimia display a fear of being overweight. Another type of eating disorder is binge eating. Binge eating disorder is repeated episodes of overconsumption of food with a sense of lack of control. Some individuals have some but not all of these behavior symptoms. Eating disorders are not purely a matter of personal choice or family dysfunction. Research indicates that the etiology of eating disorders is a complex interaction between genetics, neurobiology, personality characteristics, and environment. Because of the alterations in chemicals in the brain, clinicians describe eating disorders as “brain disorders.” Individuals with eating disorders frequently have common personality traits such as perfectionism, obsessive compulsiveness, anxiety and depression. Symptoms such as anxiety and depression may be worsened by the malnutrition and resolved by increasing body weight to a healthy range. If an individual suspects he or she may have an eating disorder, they should receive treatment as soon as possible to reduce the risk of theses dangerous complications. Early treatment also gives the greatest chance for a full recovery. Orthorexia is an unhealthy obsession with eating healthy food. Although orthorexia is not an officially recognized eating disorder, it does share some characteristics of both anorexia nervosa and bulimia. Orthorexia nervosa refers to a fixation on eating "pure," "right" or "proper" food rather than on the quantity of food consumed. While healthy food choices are a cornerstone of good health, when taken to extremes, the pursuit of a healthy diet can become unhealthy. Orthorexic eaters may start by adopting a socially accepted diet such as vegetarian, vegan, organic, or gluten-free. They become strict and inflexible in their food choices, and the list of foods avoided continues to grow. Foods most often eliminated include fried or other high-fat foods, desserts, and combination foods such as pizza or pasta. Eating at restaurants or with friends and family poses a challenge for orthorexic eaters and they may choose to avoid these situations or bring their own food. The obsession of eating “healthy” foods can lead to diets that are so strict they lack essential nutrients and energy to support a healthy body and healthy weight. In addition, the disordered thoughts have the potential to develop into an eating disorder diagnosis such as anorexia nervosa or bulimia. Orthorexia may lead to social isolation and overwhelming thoughts about planning meals, as well as resisting the temptation of once enjoyed foods. Orthorexic eaters often experience feelings of guilt and anxiety after eating food considered off-limits. In contrast, they may experience feelings of superiority, perfection or control as they continue their disciplined eating style. This sense of control may be a way of avoiding negative emotions or managing stress. Similar to other eating disorders, orthorexia often results in negative health consequences. Social isolation may impact emotional health and mental well-being. Physical health can be compromised due to low body weight and possible nutrient deficiencies. Orthorexic eaters often admit that they have difficulty enjoying life due to the obsessive thoughts about “healthy” eating that control their lives. Treatment for orthorexic eating involves a team of healthcare providers including a physician, therapist and dietitian. As a Registered Dietitian, I educate clients about how food fuels their bodies and provides essential nutrients for health. We discuss diet myths and challenge their thoughts related to a healthy diet. We work on legalizing all foods and creating a meal plan that is helpful for clients to understand the amount and balance of food for their individualized needs. By gradually incorporating “forbidden” foods, orthorexic eaters relearn that a truly healthy lifestyle consists of moderation and balance and that all foods can fit into a healthy diet.